That's with 64 percent of precincts partially reported. Voter turnout so far is 42.5 percent. 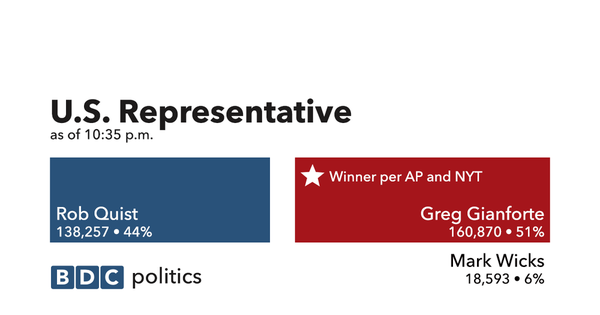 The Associated Press has called the race for Gianforte. Associated Press and New York Times call the race for Gianforte. And with that, CNN pulls away from Quist's speech. And with that, we're going to wrap up the live blog so that we can get our stories written and print edition put to bed. Thanks for tuning in.